The successful completion of the GLITZKOIN ICO, signaled the launch of the second phase of the project plan. Attention is now being focused on the DiaEx, diamond exchange. You could say that this is the darling of the diamond community, something for which it has waited for a very long time. The first phase of the GLITZKOIN project drew tremendous participation from the crypto community. There is no doubt that it was this phase that put the project on a firm footing. So now that the focus is on the DiaEx exchange and the diamond community, does it mean the end of the road for the crypto community. The answer is a strong ‘No’. Crypto enthusiasts were quick to realize that the GLITZKOIN project had potential, most of them have waited patiently for the diamond exchange to be completed and implemented. 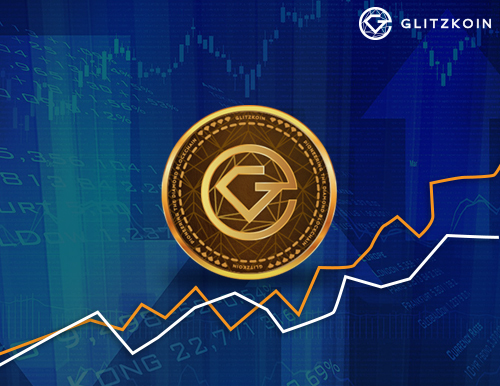 They look forward to the success of the exchange as this, would significantly push up the demand for the GLITZKOIN (GTN) crypto token on the exchanges. The mode of payment to settle transactions on the DiaEx diamond exchange, would the GTN token. Traders would therefore, need to purchase these tokens to fulfill their payment obligations. Most crypto tokens rely solely on crypto world participants to generate, the forces of demand and supply. A strong demand would generally translate into a price appreciation for the token. Demand for the GTN token would be significantly boosted by the participation of, the diamond community that trades on the DiaEx diamond exchange. This report would not be complete without, saying a few things about the functionality of the DiaEx diamond exchange. The concept of a diamond blockchain is not something new. There have been attempts at using this technology to help the industry but, none of the projects really took a comprehensive view of the industry. GLITZKOIN is the first diamond blockchain project to be promoted by a diamond professional. Second generation diamond veteran, Navneet Goenka has a thorough understanding of every single activity that is performed in the diamond industry. He is absolutely convinced that a blockchain based diamond exchange, could improve efficiency in the industry and substantially increase the demand for the precious stone. To explain it very briefly, the DiaEx exchange would allow buyers and sellers to conduct trade on the platform without, the intervention of middlemen and brokers. Listings would be restricted to certified diamonds, this would remove the issue of fake diamonds being misrepresented. To avoid the delays and costs that the banking process heaps on diamond trade, the DiaEx diamond exchange would use the GTN token to settle payments. So in conclusion it would be right to say that, the crypto world will still have an active role to play in the GLITZKOIN project even after, the diamond exchange is complemented and implemented.